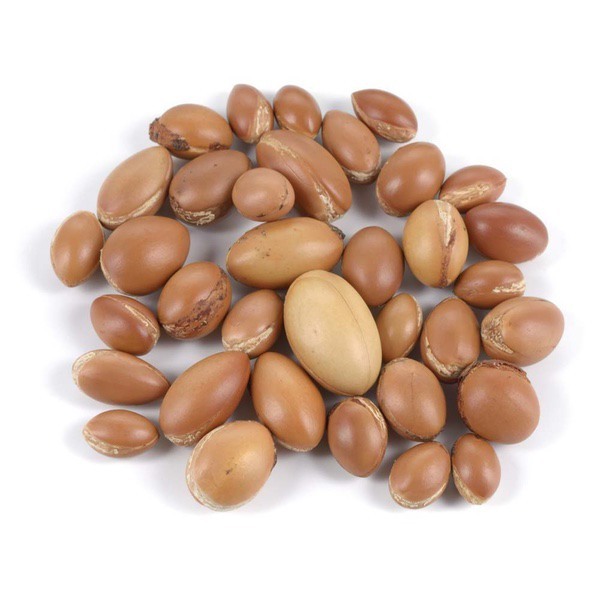 Argan oil contains tocopherols (vitamin E), phenols, carotenes, squalene, and fatty acids, (80% unsaturated fatty acids) The main natural phenols in argan oil are caffeic acid, oleuropein, vanillic acid, tyrosol, catechol, resorcinol, (−)-epicatechin and (+)-catechin. Hadjira Dakiche; Khali, Mustapha; Boutoumi, Houcine. Phytochemical Characterizationand in vivo Anti-inflammatory and Wound-healing Activities of Argania spinosa (L.) Skeels Seed Oil. Records of Natural Products; Gebze11.2 (2017): 171-184. Proquest. Monfalouti, HE; Guillaume, D; Denhez, C; Charrouf, Z (Dec 2010). "Therapeutic potential of argan oil: a review". J Pharm Pharmacol. 62(12): 1669–75. PMID 21054392. doi:10.1111/j.2042-7158.2010.01190.x.